Star Wars, am I right? Everybody knows about it, whether from seeing it first-hand or just by breathing on the planet Earth. Here at GFR, we’ve seen an endless amount of Star Wars homages, fan films and retrospectives, but none are quite as geekily mesmerizing as Star Wars: Kitbashed, a stellar multimedia work-in-progress from Michael Heilemann, a Designer of Interface at the website creator Squarespace. It’s kind of like a documentary dedicated solely to George Lucas’ inspirations for A New Hope, only presented in such a way that you actually experience the subject matter as it happens. Plus you get to watch the entire movie. It’s amazing. It’s no big mystery to anyone who’s ever read about Star Wars that Lucas culled his story elements and directorial style from everything that he liked about adventure fiction throughout his life. Heilemann, who named the project Kitbash after the Lucas-perfected process of using existing model kits to create new concepts, began this quest in order to pinpoint, and perhaps contextualize, the plethora of inspirations Lucas wears on his sleeves. For the last few years, he has been working on a book that completely surveys the first trilogy and compiles the many movies, books, songs, comics and more that inform the story and style of Luke, Darth Vader, and company. His scope even includes Lucas’ early short films. Eventually, it became clear to Heilemann that an audio-visual presentation would also be extremely useful for people to grasp it entirely. From the opening Flash Gordon scrawl to the war bombers on the Death Star, Kitbashed is as enjoyable a way to convey information as I can imagine, other than putting it inside booze. A massive amount of research went into this, and most people would be too keen to shove that part in people’s faces, but Heilemann steps away from it altogether with the mash-up video. Perhaps he’s waiting to clobber us over the head with his braininess when the book comes out. 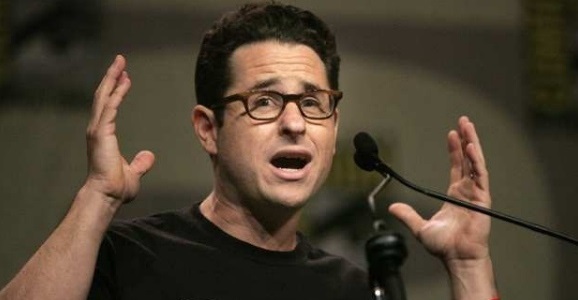 Can you imagine what it will be like if someone makes a video collecting all of the things that will have inspired J.J. Abrams‘s Star Wars: Episode VII? I can. Follow Heilemann’s work on his Kitbashed website and remember that not every great idea needs to be completely original. Sometimes, you just might create one of the most lucrative brands the world has ever known. But probably not.